The world-famous brand DIESEL recently started working with the Italian design label SELETTI. The name of this promising collaboration? Diesel Living. The collection includes flatware, glassware, cutlery, candle holders and globes and is both pure and rugged. The rough materials and the hard lines make this a very innovative collection. which has been quite successful since its launch. They&apos;ve already had to increase production several times to cope with global demand. If you are looking for something new and unique, then consider Diesel Living with Seletti. If you like Diesel clothes, then why not continue this style in your interior? The Machine Collection and Cosmic Dinner plates are real must-haves that you will be sure to cherish from the day you buy them. The design of this Diesel collection adds a special style twist to your table. All Diesel products have been designed with remarkable attention to detail. Cutlery inspired by objects from the ironmongers&apos;. This set from the Machine Collection by Diesel Living features a stainless steel spoon, a fork, a knife and a teaspoon. They were inspired by factory components and tools including bolts, washers and cogwheels. Even the packaging of this cutlery reminds us of the tools section at the ironmonger’s. 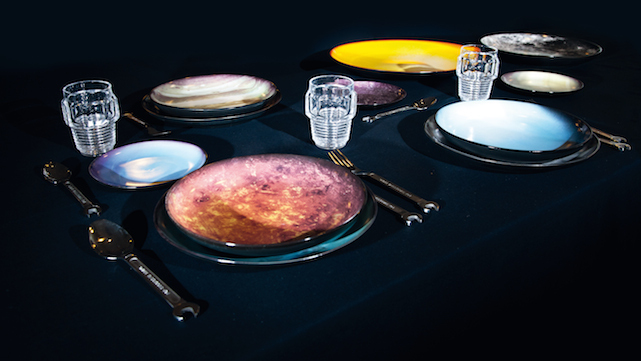 Diesel&apos;s Cosmic Diner Collection features several porcelain plates with a cosmic design. There are eleven plates in all in this collection, each with their own design. Every plate in the Cosmic Diner Collection represents a moon, a star or a planet. A unique way of presenting the most delectable dishes. The solar system brought into your home, on your walls or on your table. Enjoy breakfast on the sun, lunch on Mars and dinner on Pluto. Diesel Living was inspired by car mechanics for its solid Transmission candle holders. The candle holders are made of ceramics with a lovely metallic glaze. 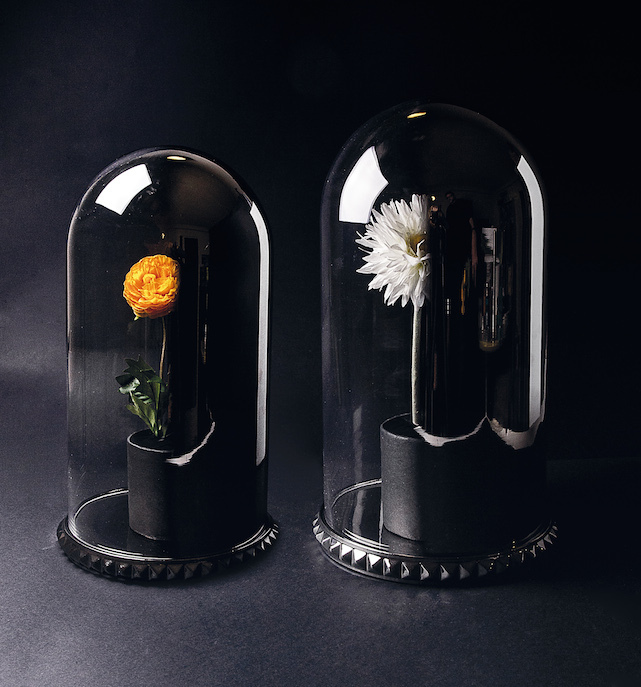 The Ghost Dome is Diesel&apos;s unique take on the traditional glass bell jar. The glass gradually turns to mirrored glass. As a result, the objects in the bell jar seem to disappear before your eyes. Quite spooky actually. The base of the bell jar is set with studs and is made of ceramics with a chrome glaze. The perfect way to display your favourite items! PIET moodshop is an official dealer of Diesel by Seletti. This means we are able to supply every item in the range. Did you not find a specific item on our website? Call us on +32 (0)9 278 69 78 or send an e-mail to info@pietmoodshop.be. We are at your service!